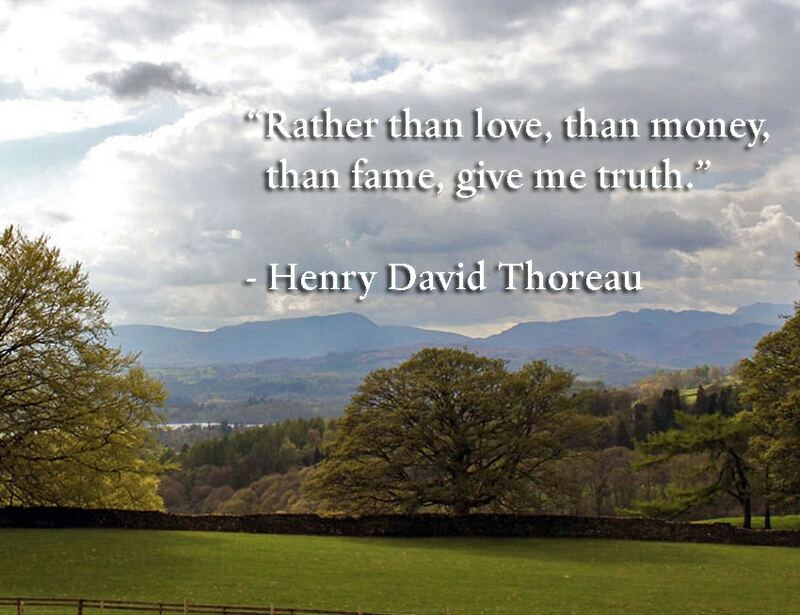 Henry David Thoreau (1817-1862) – American poet, writer and leading member of the Transcendentalist movement. 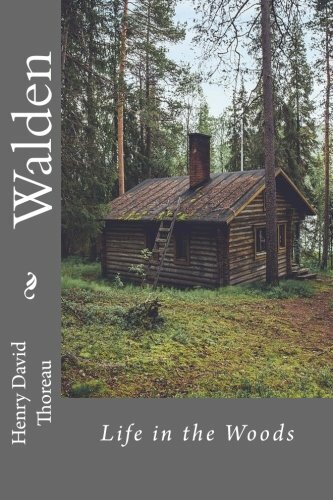 One of his best-known works was “Walden” which recounted his experiment of living simply and close to nature. As well as a noted literary figure he was active in opposing slavery and was an early proponent of environmentalism. In his 1849 pamphlet “Civil Disobedience”, he advocated resistance to civil government – if it promoted injustice, such as slavery. Since his death in 1862, his reputation as poet and philosopher has grown. Henry David Thoreau was born in Concord, Massachusetts in 1817. He studied at Harvard College (1833-37) where he studied classics, philosophy and science. After graduating from Harvard he rejected the more traditional roles for Harvard graduates, preferring to return to Concord where he set up the Concord Academy which his brother John. The school promoted progressive ideals, such as nature walks and an absence of corporal punishment. Tragically, in 1842, his brother John died from Tetanus, which led to the closure of the school. Thoreau went on to work at the family’s pencil factory, where he helped to improve the quality of pencils, using clay as a binder. In Concord, he became close to Ralph Waldo Emerson. Emerson encouraged the younger Thoreau to write and take an interest in the ideas of Transcendentalism. Through Emerson, Thoreau also became acquainted with similar like-minded individuals, such as Margaret Fuller and Nathaniel Hawthorne. Thoreau felt a deep calling to experience life in its simplest, barest form. In 1845, he began a two-year experiment to simple living, where he lived in a cabin on the shores of Walden Pond. An important element of the retreat for Thoreau was the solitude of living alone in the words. Thoreau felt in solitude and nature, he could seek a greater meaning to life. Thoreau was also critical of the commercialisation of society. He felt the pursuit of money too dominant and wished to pursue a simpler life of minimising needs and putting values of nature and truth-seeking above materialistic desires. During his retreat at Walden, he ran into a local tax collector, who demanded six years back payment of poll taxes. Walden refused on principle of opposing the Mexican-American war and the institution of slavery, which was still legal in America at the time. He was imprisoned for a day, though he was released when a family member (without his knowledge) paid off the back taxes. Walden was said to be unhappy it was paid off without his knowledge. The experience inspired Thoreau to write an essay entitled “Civil Disobedience” (Resistance to Civil Government) in 1849. 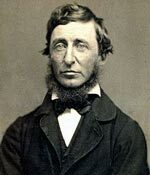 It is seen as a manifesto for civil disobedience and a form of anarchism, though Thoreau later stated he wished to see better governance rather than no governance. In 1847, he returned from living in the forest and, at the request of his friend Emerson, moved into Emerson’ home to help with the household whilst Emerson was away in Europe. This position enabled him to continue writing. In 1854, he published “Walden”, or “Life in the Woods” an account of his time living close to nature. It was part autobiographical, and partially reflective of man’s spiritual quest. He used the analogy of the seasons to express ideas of man’s search for greater meaning in life. Over time, the book has become a classic of counter-culture – back to natural harmony. Thoreau’s defence of Brown was important for shifting public opinion in the north and making him a leading figure in the anti-slavery movement. Brown’s revival in the court of public opinion helped to make the revolt a factor in the upcoming civil war. Thoreau was also interested in science and natural history. He made many observations of natural phenomena around Concord, detailing the changing seasons and how changes in the weather could influence the arrival of spring. He became a noted admirer of Charles Darwin and his new theory of evolution – at a time when the theory was disputed by many. In 1862, at the age of 45, Thoreau succumbed to Tuberculosis. He remained single throughout his life, never married and had no children. 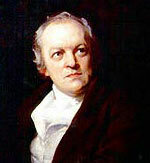 Famous Poets – The great poets, including William Blake, Lord Byron, William Wordsworth and Coleridge.